Strong offerings from British acts have helped UK album sales to rise amid fears of decline. The British Phonographic Industry (BPI) trade body said sales were up 1.4 per cent between July and September 2005. It said the rise came despite "grim reports" about low consumer confidence and the London bombings hitting sales. 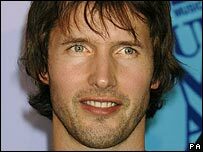 The BPI attributes the rise to the success of acts like singer James Blunt, who sold a million albums in the period, Coldplay and Kaiser Chiefs. Seven UK acts were in the top 10 artist albums chart. Blunt's debut Back To Bedlam was the top-selling album in the period. 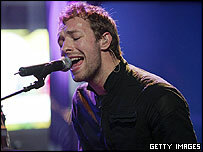 His single You're Beautiful topped the quarter's singles chart and has also become the best-selling download of all time. X&Y by Coldplay was the second highest selling, followed by Kaiser Chiefs' Employment, Forever Faithless - The Greatest Hits by dance act Faithless and Demon Days, the second album by Damon Albarn's cartoon band Gorillaz. BPI chairman Peter Jamieson said: "Our members invest millions of pounds each year in new UK artists, and time and again music fans choose to buy British. "It's been a tough summer on the high street, but these figures demonstrate the enduring appeal of great British music." It was not all good news as compilation album sales fell by nearly 20 per cent on last year. Meanwhile, the downloading boom has led to a rise in single sales. Although physical single sales declined by 21.8 per cent in the period, while single track downloads increased by 288 per cent, resulting in an overall market rise of 49 per cent. There have already been 16.9 million single track download sales in the UK this year, compared with 5.7 million for 2004. Don't Cha by Pussycat Dolls featuring Busta Rhymes was the second best-selling single, with Bad Day by Daniel Powter coming third. BPI chairman Mr Jamieson said the rapid rise in legal download sales meant the singles market was "showing strong signs of recovery".